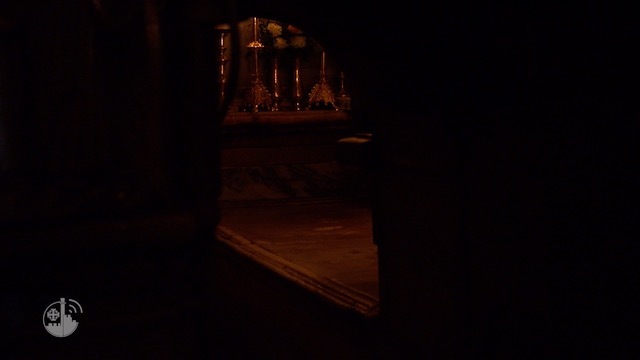 home / Multimedia / The Holy Land in news / Recalling Christmas: The precious gift of the Franciscans to the .. 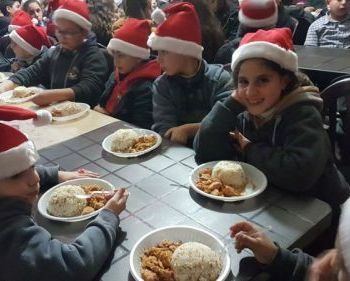 In 2016, Christmas in Aleppo was marked by the liberation of a city that has suffered much during the endless Syrian conflict. The hope brought by the liberation of the city, grew timidly in 2017: some activities have resumed and some destroyed apartments have been rebuilt, thanks to your valuable support through the Association pro Terra Sancta. Yet there still are many deep wounds that need to be cured. Childrens are the ones who suffer most. For this reason the Christmas letter by Fr. Ibrahim, parish priest of Aleppo, was adressed particularly to them. In the letter, Fr. Ibrahim wrote: “Many are wondering what gifts we Franciscan friars of the Custody of the Holy Land will give to the children of Aleppo. There are many gifts we could give them, but we wish to introduce you to one of the best. It is a post-school project aimed at psychological, academic and spiritual recovery for 150 little angels in Aleppo’s society, who were extremely wounded by the war”. In fact, many of these children are not able to follow lessons and learn. They are blocked by war traumas and disturbances of various kinds. They are therefore in need of a constant and patient process of recovery. The project, which began at the beginning of the 2017-18 school year, will last nine months and is aimed at those who “are the most fragile and most affected by war traumas”. In this case, they are 150 out of a total of 600 elementary school children. It is a small starting point, considering that there are thousands of children in need of this kind of assistance in Syria. Unfortunately, as Ibrahim says, “To cover the post-school activites for a child, providing for his different needs, would cost around 85 $ each per month”. In the letter, therefore Fr. Ibrahim asks for help: “The value and result of a person’s recovery is worth much more than this amount. Each of them has great dreams and so much hope. Despite the fact that they also come with so many sad stories from these last six years, which will certainly leave a very deep mark on their personalities, the hope of a Church and of a society that yearns to rise again also remains in them. Each of them is a gift from on high: the ‘little brother’ for whom Jesus gave his life. Indeed, for each of us, each child helped is the ‘Child born for us’, Jesus himself”. For this reason, toghether with the important support in the physical reconstruction of apartments, it is necessary not to forget the spiritual and psychological reconstruction of these children, because, as Fr. Ibrahim states: “each of them is a gift from above : the ‘little brother’ for whom Jesus gave his life. Indeed, for each of us he is the ‘Child born for us’, Jesus himself”. Support the reconstruction of Aleppo!